Clean Anything! Small Lines to Mainlines. 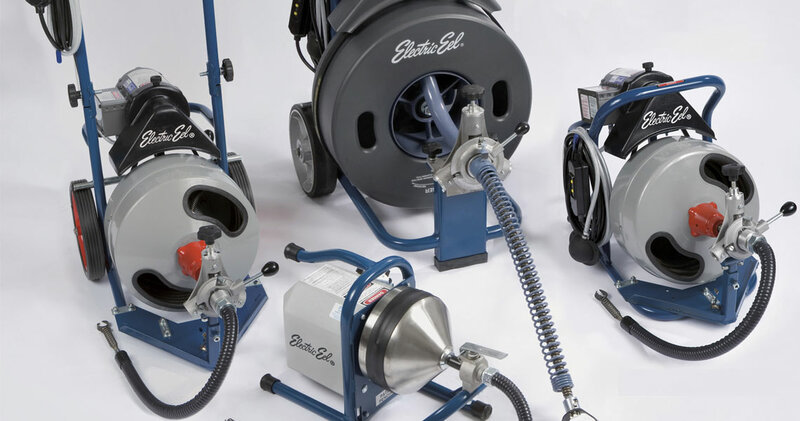 At Pipe Tools our goal is to provide innovative products for the professional plumbing / sewer cleaning, building maintenance and public works industries who require specific equipment to locate, clear, maintain, and inspect drainage systems of all pipe sizes and pipe material types. Pipe Tools Inc will meet your needs with Inspection Cameras, Tractor Cameras, Sondes, Locators, Plastic Pipe Locators, Cables, Drain Machines, and Cutters. We have become a leader in equipment sales and training for professionals in these industries. Pipe Tools serves the New England and Mid Atlantic Region of the US. We cover from Maine to Virginia with dedicated sales representatives. Based in Pennsauken New Jersey our experienced sales staff understands the industry and your needs. Additionally, our management staff travels the world to attend industry conferences and trade shows to search for new products, new methods, new ideas, and new innovations to provide our clients with options of equipment and techniques to meet there need to be effective. Whether you are a plumber at the housing authority, university, or hospital, run a plumbing sewer and drain business, operate a large apartment complex, maintain the collection system of a small municipality, or maintain a golf course we have the tools you use everyday to deal with sewer and drain issues. Our products are manufactured with professional durability in mind and can be used in most environmental applications and underground infrastructure in the US. We strive for complete customer satisfaction and address all your service concerns with a one year manufacturers warranty on most products including our Pipe Inspection Cameras. We understand your concerns and consult with you to provide that product which will meet your specific operational and budgetary requirements. Located in the greater Philadelphia, PA area, our product catalog is extensive in order to meet any unique requirements. As experts in the industry, we’ll provide the exact product you need and offer continuous support for every customer. When needing a metal detector or a pipe and cable locator for your utility locating, our products are designed with knowledge specific to your industry. At Pipe Tools Inc we have a full line of magnetometers for finding iron targets such as manhole covers, valve boxes and curb stops. These tools are used across the sewer, water, and gas industries daily. We have sonde and camera head locators used specifically for the sewer and drain industry. We offer a wide range of pipe and cable locators at various wattage outputs to meet your needs. The challenges associated with various industries require the use of advanced products such as our Acoustic Pipe Locator (APL). This locator can be used to find non metallic pipe such as plastic pipe. This is very useful for finding plastic water services and gas mains. The need for accurate pipeline locating is becoming increasingly complex as utilities use more non traditional materials. Using our locating products will help ensure the meeting of code requirements, the safety of your crew in the excavation of utilities, and reduce the cost of miss marks. 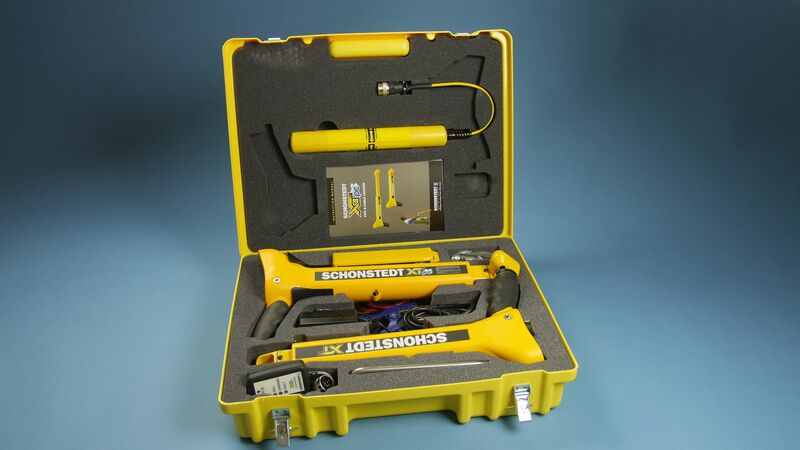 Our utility locating and video pipe inspection equipment prove to be reliable and durable. No matter the industry or type of job you’re working, whether it’s finding buried manholes, water lines, or locating gas lines, we have the solution you’re seeking. We’ll provide a demonstration of our magnetometers and pipe and cable locators, so you understand how to use the devices for accurate pipeline locating and detection. Whether you are looking for a simple listening device for residential work or require noise loggers and software to monitor a distribution network, Pipe Tools supplies the equipment and training to meet your water leak detection needs. If you wish to buy a laptop based correlator, or require more productivity in your leak detection efforts in reducing Non Revenue Water (NRW), consider the advantages associated with Pipe Tools. 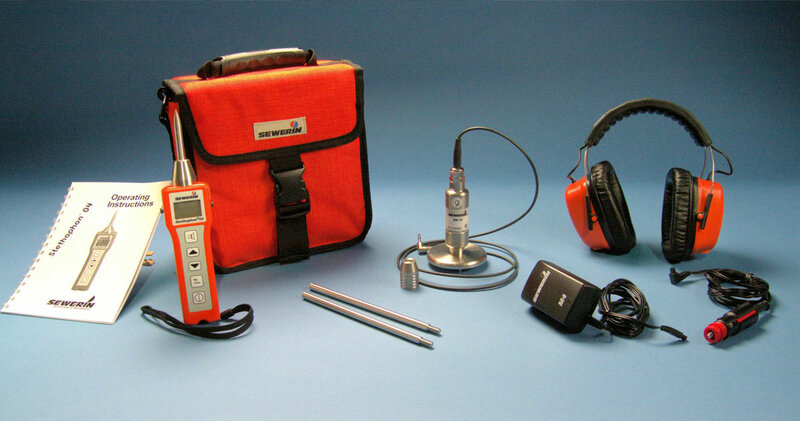 Our leak detection systems cover a broad spectrum of products that include several varieties of ground microphones both with wired and wireless capabilities, simple easy to use field correlators, correlating and non correlating noise loggers, pressure loggers, truck mounted water leak detection systems. When you have a need for advanced and comprehensive leak detection solutions for your municipality, large or small, contact us and we’ll show you how we can help. Our experts are consistently training and gaining knowledge of new concepts and products that are most helpful in reducing NRW and saving the water department money.. Pipe Tools offers a full line of intrinsically safe gas leak detection and monitoring tools to service several types of end users. Multi-function gas detectors for gas leak surveys, underground leak detection, carbon monoxide investigations, method 21 emissions testing, combustible gas measurements, gas line purging, combustible gas leak detection, and confined space monitoring. 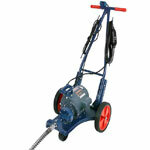 Pipe Tools is a leading provider of professional tools for water, sewer and gas professionals. Copyright 2019 by Pipe Tools Inc.